In celebration of the 30th anniversary of Eric B. 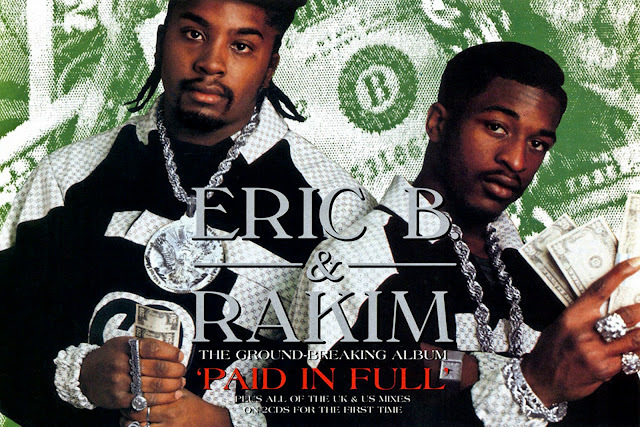 & Rakim’s Paid In Full album (originally released July 7, 1987), author Brian Coleman has teamed up with renowned DJ and radio personality DJ ECLIPSE to bring the world a new concept – a podcast using original interview tapes, blended with music including the tracks discussed in the interviews as well as the original music sampled to make those tracks. The interview in question, featured as the centerpiece of this new DJ Eclipse mix, was conducted by Coleman with the legendary MC Rakim in the early 2000s, and appeared in Coleman’s first two books, Rakim Told Me and Check the Technique [Volume 1]: Liner Notes for Hip-Hop Junkies. Coleman’s most recent book, Check the Technique Volume 2: More Liner Notes For Hip-Hop Junkies, was released in 2014. Stream the "Paid In Full" 30th Anniversary Tribute below.